When most travelers hear the word airport, they’re filled with dread. Airports are usually not a place travelers want to spend a lot of time—some can be crowded, stressful venues that you want to get in and out of as quickly as possible. But there are some airports with so many amenities that you never want to leave. One of those is Changi Airport in Singapore. The airport has won numerous global awards for features that keep travelers happy. Among them are Airports Council International’s Airport Service Quality Awards and Skytrax’s World Airport Awards for the fifth year in a row. Changi’s Crowne Plaza Changi Airport was also named the World's Best Airport Hotel for the second consecutive year in the Skytrax awards. Below are 12 reasons why you might want to actually work the Changi Airport into your travel plans. 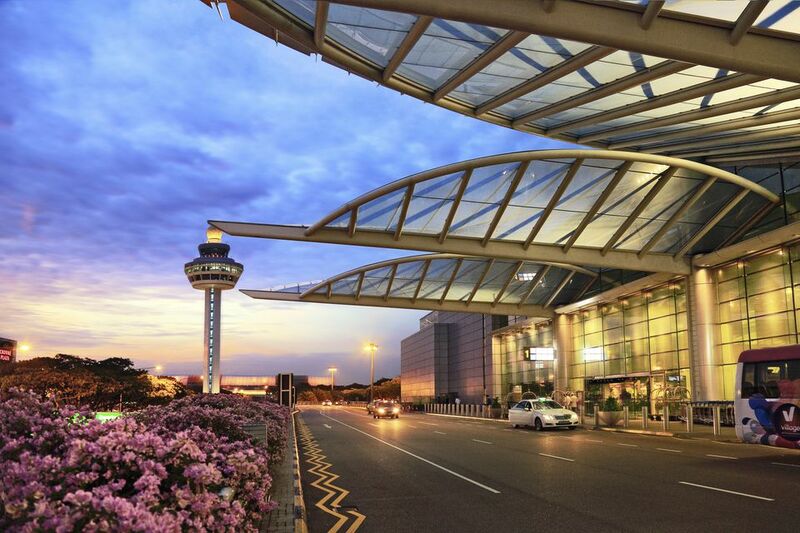 For those who want to take time to rest on a long layover, Changi Airport has the Aerotel Airport Transit Hotel in Terminal 1 and the Ambassador Transit Hotel in Terminals 2 and 3. Both hotels can be booked by the day or the hour. The Aerotel, located on Level 3 near Gate D41, has a fitness center, a pool, and a jacuzzi. The Ambassador has regular and budget options for travelers, with locations on Level 3 above the Orchid Garden in Terminal 2 and on Level 3 next to the movie theater in Terminal 3. Not every passenger has the status that allows them free access to airline lounges. For those who don’t, Changi Airport has paid lounges in each of its terminals. The 7,000 square-foot Plaza Premium Lounge, located in Terminal 1 on Level 3 above Gate C-1, offers full dining with local delicacies like Singapore’s famous Chicken Rice. There are also three private resting suites, six fully stocked shower rooms, two VIP rooms, massage and nail care services, plenty of comfortable seating, free Wi-Fi and charging stations. The Ambassador Transit Lounge, located in Terminal 2 above Orchid Garden, offers amenities such as business services, meeting rooms, a gym, shower facilities including amenities, beauty and massage services and nap suites. The same lounge is also located in Terminal 3 on Level 3 next to the movie theater. For travelers with at least a five-hour layover, Changi Airport offers two free guided tours of Singapore. To join one, register with a passport and boarding pass at Free Singapore Tours booths at least an hour before any tour starts. The Heritage Tour shows off Singapore’s architectural past and present in visits to colonial and cultural districts including Chinatown, Little India, Kampong Glam, and Merlion Park. The City Sights Tour stops at Merlion Park, the Singapore Flyer, Marina Bay Sands, the Esplanade, and Gardens by the Bay, home to the city’s famous Supertrees covered with more than 162,900 plants. Travelers at Changi’s Terminal 1 can go swimming in the rooftop pool located at Aerotel Airport Transit Hotel for a fee. If you don’t feel like swimming, there’s a relaxing jacuzzi, a poolside bar, and shower facilities. The pool is located on Level 3 in the Transit Area near D Gates. Changi Airport is home to the first airport-based butterfly garden in the world. This tropical butterfly habitat has flowering plants, lush greenery, and a 6-meter grotto-waterfall. Visitors can see nearly 1,000 tropical butterflies from 40 species and watch the breeding and feeding of butterflies at close range. The garden is located at the Departure Transit Lounge on levels 2 and 3 in Terminal 3. Travelers can catch global movies for free at theaters located in Terminals 2 and 3. One is located in the Departure Transit Lounge, near the Sunflower Garden on Level 3 at Terminal 2. The other is located in the Departure Transit Lounge North near the Ambassador Transit Lounge on Level 3 in Terminal 3. Adult and kids alike will enjoy this play area located in Terminal 2. Check out Xbox Kinect Sports and play interactive games, including table tennis, beach volleyball, track and field events, bowling, boxing, or soccer. Watch music videos in the MTV booth or play your favorite games on Xbox 360 or PlayStation 3 game consoles. The deck is located at the Departure Transit Lounge next to the Sunflower Garden on Level 3. Relax before your flight at the TungLok Tea House in Terminal 2’s transit area. Travelers can have traditional teas, along with traditional Chinese dim sum dishes in a dining room with Peranakan-styled furniture and period décor. Changi Airport offers many green spaces in its terminals, including the Cactus, Water Lily, Orchid, and Sunflower gardens. Located in Terminal 1 near the Departure Transit Lounge on Level 3, the roof-based Cactus Garden is home to more than 100 species of cacti and arid plants from around the world. Also in Terminal 1 on Level 2 is the Water Lily Garden, shaped like a water lily leaf. It features tiled walkways that are home to a variety of lilies. Located in Terminal 2 at the Departure Transit Lounge on Level 2, travelers can see more than 700 orchids at the Orchid Garden. The Sunflower Garden, located in Terminal 2 at the Departure Transit Lounge on Level 3, features different varieties of the flowers grown in the Airport's own nursery. It’s also a great place to do some plane spotting. Changi Airport’s Terminal 3 is home to The Slide@T3, the country’s tallest slide and the world's tallest slide located in an airport. The slide, which is four stories tall, allows users to reach speeds of up to 6 meters per second. It’s located at the Arrival Hall on Level 1 in the public area. Changi Airport is home to art installations in all four terminals. One highlight is the two 3-D Kinetic Rain sculptures in Terminal 1’s Departure Check-in Hall. The sculptures can form into 16 different shapes that also show the movement of flight through slow, fluid movements. Located in the center of Terminal 4, the kinetic sculpture Petalclouds hangs over the Central Galleria, where its movement is synchronized to animated lighting and music. And travelers can create their own art in Terminals 1, 2, and 3 by making imprint rubbings of Singaporean icons. Located in Terminal 1 on Level 2 near the airport’s D Gates, this spa offers services including a massage, a manicure, a hot shower, or a meal from the spa’s cafe. It also features a pedicure with garra rufa fish that eat away dead skin from feet.